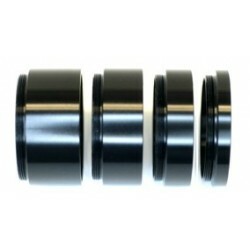 Thread size is 48mm (.75 pitch) for use with WIDE T-Ring or T Adapter. 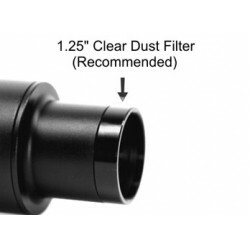 Outside Diameter is 2” (slips into a 2” Eyepiece Port). These handy extension sets can be used to securely place your camera where you want it. Threaded Male on one end, Female on the other. 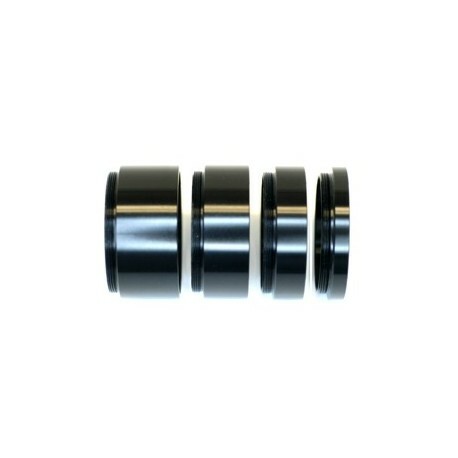 Includes 4 pieces (20mm, 15mm, 10mm and 5mm). 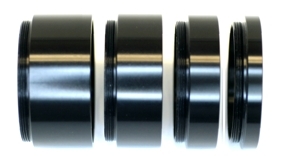 CNC machined of aluminum, fully baffled and anodized black. 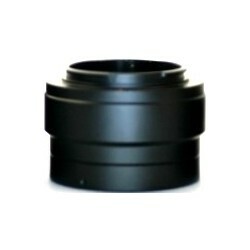 Part #TEXT Thread size is 42mm (.75 pitch) for use with any standard T-Ring or T Adapter. 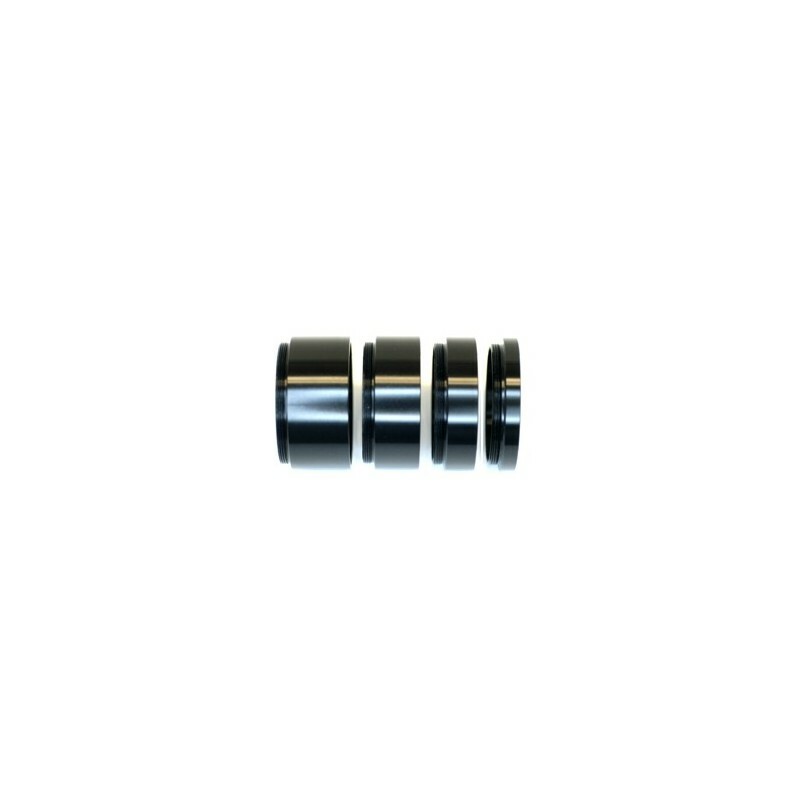 Part #TEXT-48 Thread size is 48mm (.75 pitch) for use with WIDE T-Ring or T Adapter.